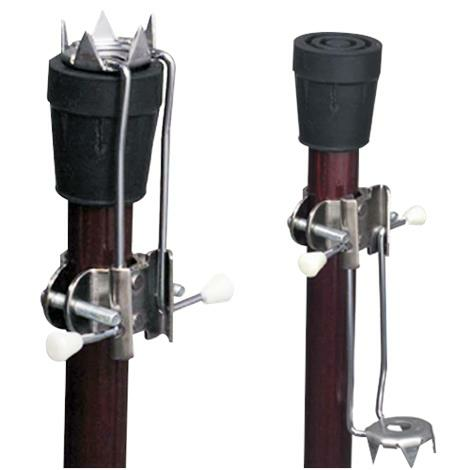 Mabis DMI 5-Prong Ice Grip Cane Attachment helps promote safe walking on ice and snow. It comes with an easy flip-up design that makes storage simple when cane is not in use. It attaches easily to most canes and crutches with only two screws (included).